Each week THP has tons of fun contests that involve some of the coolest things in golf being given away. When it is major time, we like to do things a little more grand and this year for the Open Championship we have something pretty cool. Your job will be to pick 4 players that will give your team the most prize money. The catch is that your team must be made by selecting players from certain “tiers”. At the conclusion of the tournament your entire team’s earnings will be totaled to determine the winner. In the event of a tie the winner will be drawn at random. The winner of the contest will get an incredible group of prizes. A set of Nike VRS Forged Irons, a VRS FW Wood and a VRS Hybrid. 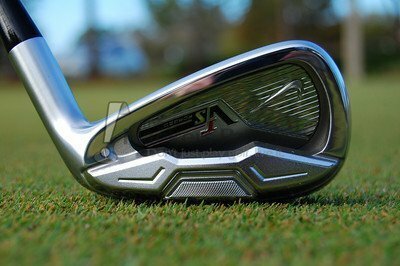 You can read all about the irons right here in our in depth review and see why this is such an incredible prize. To enter the THP Open Championship Contest, simply click here and follow the rules on what is needed in your entry. This is so cool, thanks for the awesome contest! Thanks for such an awesome prize pack Nike and THP. What an amazing contest from THP and Nike! Thanks to both for the awesome opportunity to win some sweet, sweet swag. Incredible contest, the biggest and quite possibly best that I have ever seen THP put on! Wow This is amazing. Forged Goodness for the prize and best of all these Nike Irons are so sweet. Thanks Nike and THP for this exciting contest for the Open. Absolutely incredible set of prizes here!! Thanks to Nike Golf and THP for the opportunity to make-over almost the whole bag! Wow, this contest prize pack is amazing. Thanks Nike and THP. Thanks Nike and THP. Awesome prizes. Awesome contest with a fun twist, looking forward to following along. Thanks Nike Golf and THP! This is awesome. Have to do my research! Thanks THP and Nike Golf for putting this together. Should be a great tournament, with a nice prize package for those of us watching at home. What an amazing prize package, thanks to THP and Nike. Can’t wait to finalize my picks!!! Awesome contest – the THP Major Contests only continue to get better! Amazing contest! Huge thanks to Nike and THP!! !